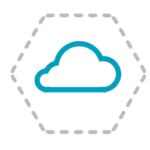 Cloud Assessment: Taking as a starting point your objectives, we will conduct a study of the current state of your business from the technological level, in order to outline your current infrastructure and identify the measures to take to help you reach your goals. 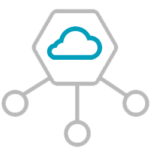 Solutions: Next, we identify the Cloud technologies that best drive those objectives and design different scenarios with different options about how your new infrastructure will look like. As a result you will receive the best sales proposal that fits your organization and objectives. Public Cloud. Public development Managed in its integrity and structured by the service provider. Hybrid Cloud. 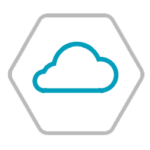 If your concern is the hermetic protection of your data by regulations, we can propose a hybrid cloud scheme that keeps the advantages of the public and private cloud. 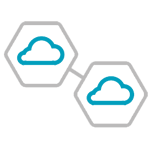 Community Cloud Specific cloud model for businesses that share interests and characteristics different from those offered in the most generic model of the cloud..
Oracle offers us multiple business applications based on SaaS environment. And through FBDI and WSDL tools we can integrate with your on premise applications. Expands software solutions for integration, through the concept of middleware in the cloud, with technologies such as SOAP / XML, REST / Json. The combination of both maximizes the potential of their applications in the cloud, in addition to allowing the integration with their platforms on premise through online services for example via ORACLE Integration Cloud Service (OIC). In conclusion, it allows us a global integration between the Oracle cloud, other clouds and on premise applications.